The Heater Curve Lite-Ball Pitching Machine features a unique swivel head, allowing you to practice hitting fastballs, inside breaking balls and outside breaking balls without having to make major, time consuming adjustments to the pitching machine. 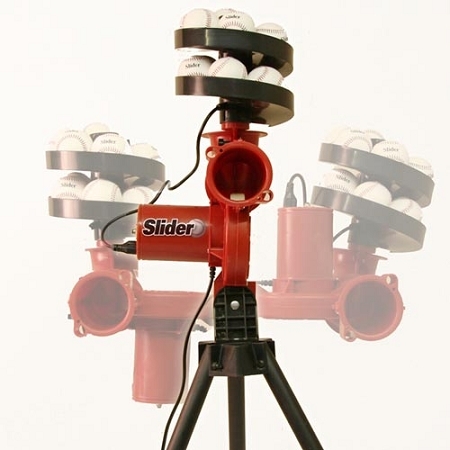 The Heater Slider Curve Pitching Machine includes an automatic ball feeder which holds 12 lite-balls that are pitched every 9 seconds, making it possible to practice your hitting all by yourself. With a variable speed control that allows you to pitch balls from 15 to 60 MPH, this adjustable height pitching machine is fantastic for honing the batting skills of aspiring big leaguers, no matter what their age is. The quality design of the Slider Lite-Ball Pitching Machine makes it durable and adaptable. Its legs are built of tubular steel with rubber feet and its wheel is fully enclosed, protecting both the machine and those using it from harm. 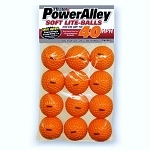 It can plug into any standard 110 volt outlet and, like all Heater pitching machines, it includes a 30-day money-back guarantee and a 1 year manufacturer's warranty, ensuring your satisfaction. 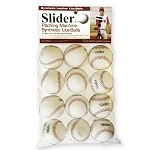 To ensure your satisfaction, the Heater Slider Lite Ball Pitching Machine includes a 30 Day Money Back Guarantee. Heater Slider pitching machines are also backed by a Full 1 Year Warranty that includes repair, replacement and labor. No matter where you order a Slider Lite Ball Pitching Machine from, NOBODY actually stocks them; they all ship directly from the manufacturer's warehouse located in St. George, Utah. Therefore, the shipping time frame is exactly the same no matter what website you order from (we hope that it is this one!). 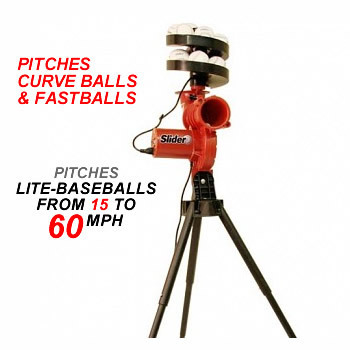 Heater Slider Lite Ball Pitching Machines typically take 2-4 business days to ship from the time you place your order. They ship via Federal Express (FedEx) Ground and could take anywhere from a day or two to a week to get to you AFTER being shipped, depending on your proximity to their warehouse. We will notify you of your tracking number the moment we receive it from the manufacturer's warehouse. Click here to download an easy to read, printable PDF of the Heater Slider Lite Baseball Pitching Machine Owner's Manual.